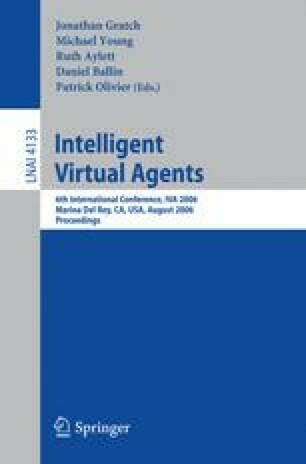 Whether or not an agent application is accepted or rejected is not only the effect of its empathic qualities but also of the assessment of empathy by the user as influenced by peer group norms. If a Computer Science student visits, for example, a Web site that advertises the Bonzi Buddy Web agent, he or she will be prejudiced against the agent before even interacting with it and despite the empathic qualities it advertises. One of the factors causing these effects is that Computer Science students reckon with the group norms of their peers, who forbid appreciating Microsoft applications in the first place, particularly user applications that may be judged childish. This study focused on the effects of peer-group norms on individual judgments of Bonzi Buddy. Hypotheses and other details on the experiment can be found in Hoorn and Van Vugt (2004).